Over the next week or so, I’m going to take a look at what I believe will be some of the biggest storylines moving through the 2019 WRC season. Today, we look at the new-for-2019 WRC2 Pro class. For years now, I’ve been hoping a professional division of the WRC2 class would be developed and when WRC2 Pro was announced late last season, my wish came true. The creation of this division has a number of benefits. First of all, it addresses the widening gap between privateers and factory efforts such as Skoda. Having a professional division of WRC2 alleviates the pressure on privateer teams to continuously upgrade with Evo kits or entirely brand new cars in order to be competitive. Even though it might mean two smaller classes in the short term, I suspect that over time, it will result in two healthy classes. Now that they won’t have to be up against the might of Skoda, Citroen, M-Sport, Hyundai, and now VW, it would not surprise me at all to see privateer teams defecting from the ERC over to the WRC2 privateer class. For a sportsman driver, the chance to win their own class at prestigious events such as Monte Carlo or Finland might just be too good to pass up. Secondly, the creation of WRC2 Pro creates the perfect spot for young drivers to face stiffer competition without having to jump into a WRC car too soon. Let’s take Pontus Tidemand for example. I would argue that his development has stagnated this past season because he has not faced strong enough competition in WRC2. With his Skoda team bludgeoning the privateers over and over again, his only true competition has been from his teammates. 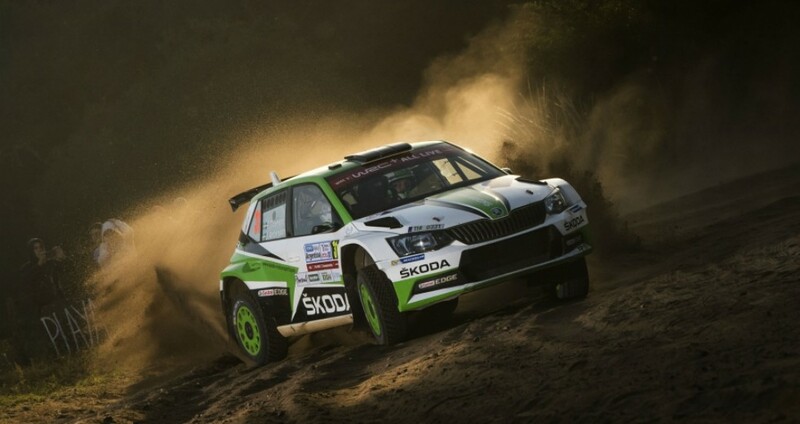 However, at times over recent years, Skoda has elected to run their drivers on opposite events, so even then, he didn’t face his strongest competition head-to-head. In 2018, his smallest margin of victory was over 2 minutes, and his largest was over 7 minutes! I’m afraid those results are just not enough to push a young driver to reach the next level. Pontus is one young driver who I feel could have benefited from a more competitive WRC2 Pro class made up of other promising youngsters as well as some veterans who might drop down from the WRC. That leads me on to what I think might be the greatest benefit of WRC2 Pro moving forward. Yesterday’s announcement that Mads Ostberg will be competing in a Citroen C3 R5 in 2019 indicates that the WRC2 Pro championship could become a place of refuge for drivers displaced from the WRC. With the lack of available seats we are seeing in 2019, I truly fear that we are on the brink of another “lost generation” of rally drivers like we saw in the late 2000’s. Think about the names during that era who almost made it, but got displaced from the WRC before they had a fair shot to show how good they could be… P.G. Andersson, Guy Wilks, Toni Gardermeister, Chris Atkinson… the list goes on and on. Could this same fate befall the likes of Hayden Paddon and Craig Breen? I hope that the WRC2 pro class can provide a bit of a “soft landing” for drivers such as Breen and Paddon who were left without a WRC seat when the silly season music stopped. In WRC2 Pro, they’ll still get a chance to prove what they can do against each other, but also while competing with young, up-and-coming talent such as Kalle Rovanpera. Look no further than Stephane Lefebvre for a perfect example of a driver who I believe would have benefited from a WRC2 Pro class to drop into when his first go at the WRC didn’t quite work out. The creation of a WRC2 Pro championship has been long overdue. However, now that it will be coming to fruition in 2019, I believe that it’s existence will only strengthen the sport of rallying moving forward. As I see it, WRC2 has unbelievable upside for both drivers trying to break into the WRC as well as drivers leaving the top level but don’t want to walk away from the sport. We’ll have to see how it all plays out, but for me, the evolution of WRC2 Pro will be one of the major storylines of the WRC in 2019. Next story 2019 Storylines: Can Ogier Rescue Citroen?